Miller knew it was crunch time—and so did the rest of UCSB leadership. “We needed to do something—fast,” he says. 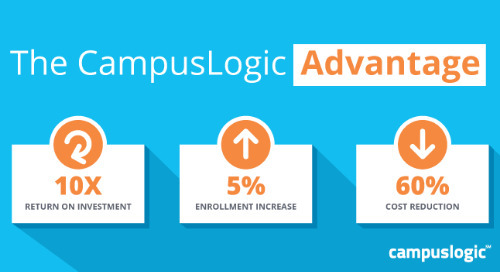 “The more I looked at CampusLogic, the more I thought it was ideal for us.” Miller recognized that StudentFormsSM, with its mobile document-upload capabilities, e-signature, and text-message reminders could effectively replace the school’s traditional paper forms, long lag times for sending and receiving sensitive documents through the mail, and daily calls from concerned parents. With many still feeling the sting of last fall’s chaos, lightbulbs went off throughout the UCSB administration offices, too. It took no time at all for Miller to convince Chief Information Officer Matt Hall that StudentForms was their salvation. And with that kind of support, Miller says, it took mere minutes for the rest of campus leadership to approve the CampusLogic proposal. There was just one more hurdle to overcome: UCSB was midway through implementing a new ProSAM Student Information System (SIS). 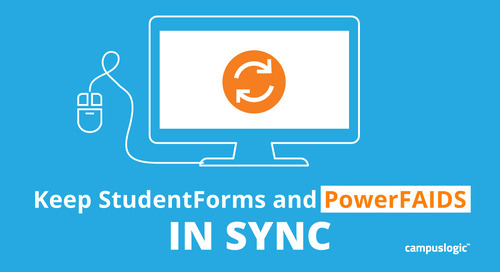 Miller admits that the IT team was apprehensive about simultaneous implementations and SIS integration with StudentForms. But those concerns soon disappeared as things got underway. “This is a perfect example of what happens when we work together to achieve a common goal—which is to better serve UCSB’s amazing students,” Miller says. As implementation proceeded, he says, the financial aid staff was already trying things out in the offline ‘sandbox’ to be fully prepared for launch—and it all worked without a hitch. “This rollout was about as uneventful as it could be—which is fabulous,” Miller says. Paper award letters don’t track open rates or engagement minutes—and are expensive to personalize. 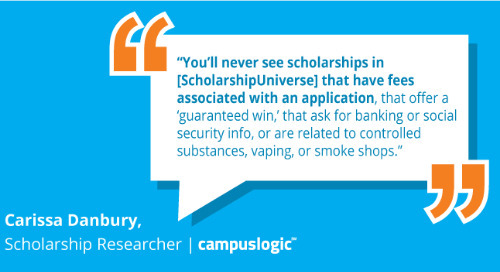 Learn how Ivy Tech is empowering more effective financial aid communications using AwardLetter. Awesome news! 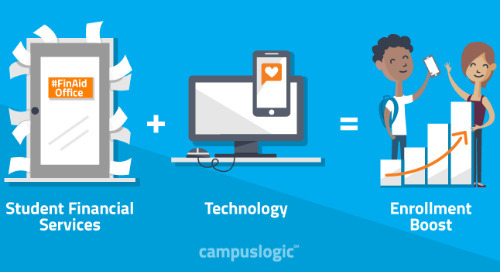 CampusLogic is a finalist for the EdTech Digest Cool Tool Awards—because building #awesome SFS tech is what we do. Learn more about the 2018 Cool Tool Awards. MAC’s paper-based student verification forms caused frustrations for financial aid staff and prospective students alike. 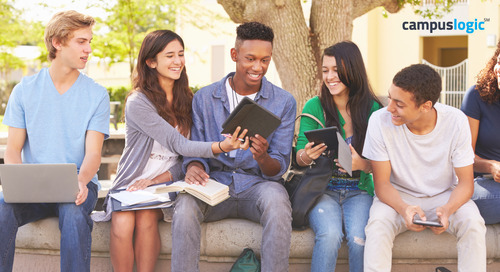 StudentForms helped MAC streamline efficiencies and improve completion rates. Driving the ABCs of student finance at a community college requires innovation and keeping the focus on students. 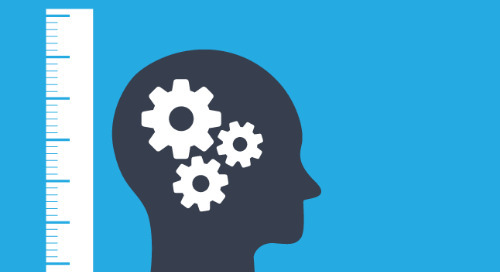 In this blog series, community college leaders share their experiences and insights. Meet the feature that makes life in the Financial Aid Office even better: OCR for tax transcripts. And, unexpectedly, just in time for the DRT outage. Western Governors University has come under regulatory fire recently for its innovative distance-learning models. Maybe it’s time to rethink how student outcomes are measured. 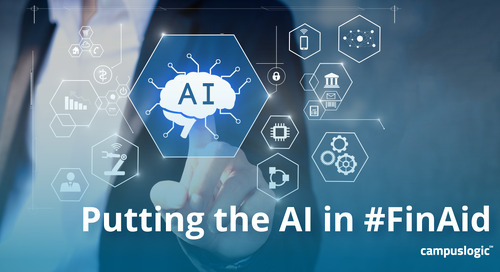 University systems are uniquely positioned to drive strategic advantages by moving to a shared financial aid services model that drives administrative efficiencies and a seamless student experience.